So.. I am not excited about this weeks post. Mostly because I'm ashamed. This week was just not a good week, because I ate bad. On Saturday I had to drive about 40 miles to go volunteer, and I had been gone all day. By the time I was done, I had been gone for almost 8 hours.. So I stopped by a local Checkers out of convenience. I had more than I should have.. and I definitely paid for it on the scale. What's upsetting is that, I could have conveniently brought some of my Nutrisystem with me, but I was so nervous in the morning, and I just rushed out. I also ate out earlier in the week because we had company, and we were going out to dinner with them. Again, I completely disappointed myself.. Because we went to a buffet, and I had healthy options, like salad.. Instead I opted for pasta, and bread. Sometimes it is okay to splurge a little, but I really need to remember to moderate myself, and not go overboard. I'm still happy, because I mean, honestly, how could I not be happy with a 40lb weight loss? I'm just disappointed that I let myself get so out of hand this week. 50lbs of weight loss is my goal, and I just need to stay on track. 8lbs is not that much to lose! Even though this week was a little rough, I did still have some amazing food this week. Overall, this was definitely one of my worst weeks.. But I know there will be better weeks to come! 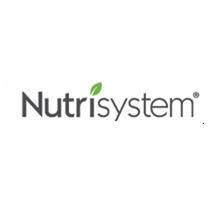 Would you like to lose weight and get healthy on Nutrisystem too? 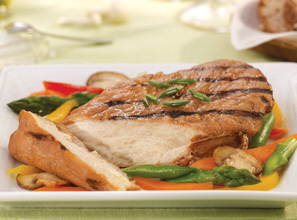 Visit Nutrisystem today or call 888-853-4689. Disclosure: Products being provided to me free of charge. All opinions expressed in this post are mine, and were not influenced in anyway. The story you see here, is mine, and mine alone. My 38th week of Nutrisystem!